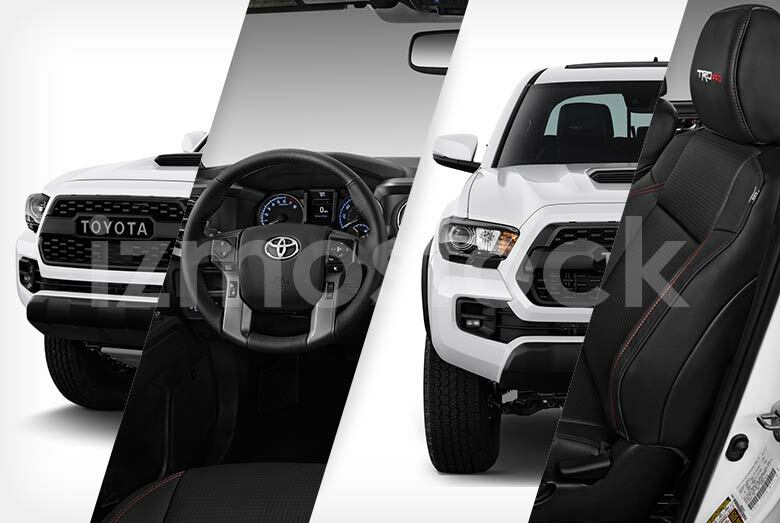 No tougher vehicle has left the Toyota manufacturing plants than the latest 2019 Tacoma TRD PRO. With fully integrated off-roading features, the Tacoma TRD PRO is one of the few vehicles that’ll handle any terrain you throw at it. A robust matt black grille and polymer lower bumper ensure that you don’t have to worry about any chipped chrome or paint. A lower grille spans just above the bumper ending in two powerful LED fog lights on either side. Just below the bumper is a TRD branded skid plate, rated for jacking just in case you find yourself unable to access normal jacking points. Optional is a fully integrated air-intake snorkel for the truly adventurous, removing the need for user customization and wonky aftermarket fitting. 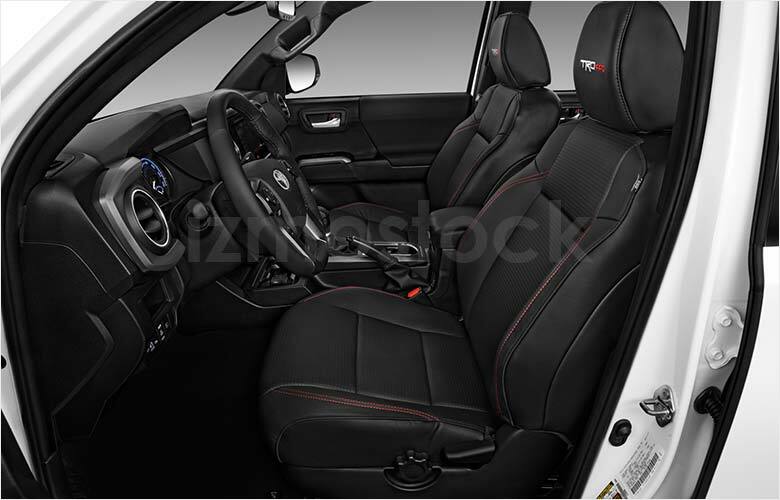 The profile reveals gaping wheel wells, hinting at its ability to handle overly rocky trails. 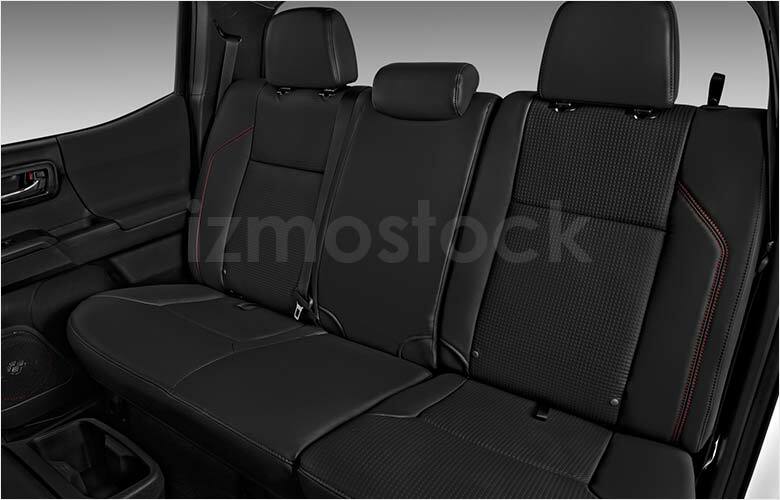 Coming around to the rear you’ll discover a lengthy truck bed with several options for bed lining. The bumper has a healthy width, making it a safe and easy step up into the bed. The tailgate is fairly standard but is regaled with the proper TRD PRO and 4×4 insignia. The rear window is tall and wide, making rear viewing from the front overly easy. 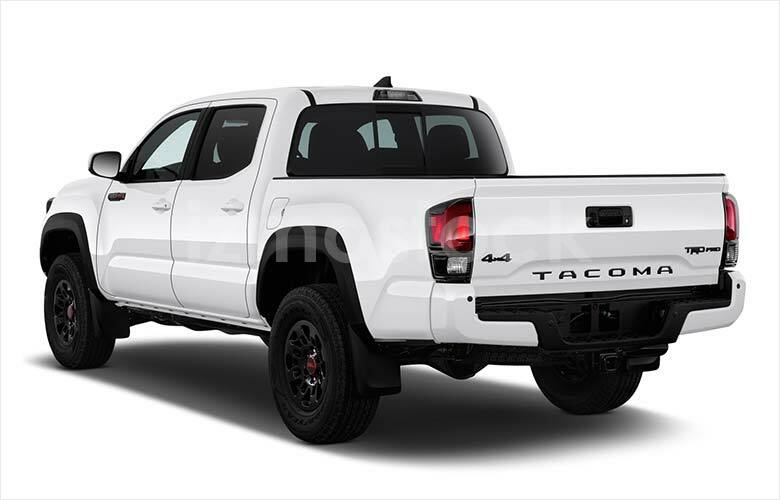 From head to tail the 2019 Toyota Tacoma is all-utility with a refined brutal toughness. 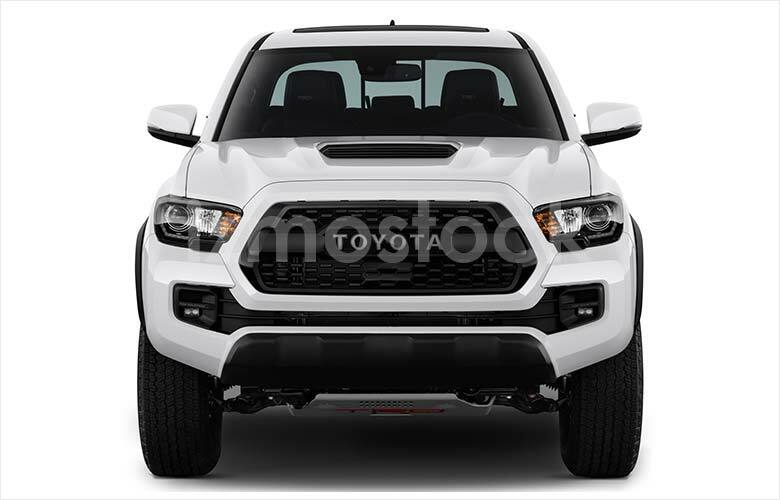 Less overall curvy than other sport trucks, Toyota has moved back to more rectilinear design dynamics fitting into a class full of machismo. 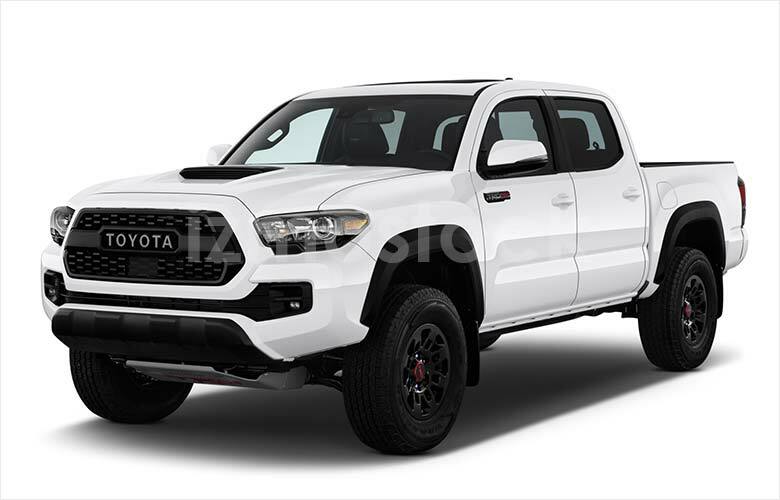 Being bigger and badder than ever before, Toyota’s 2019 Tacoma TRD PRO is as close as you can get to a professional’s off-roader. 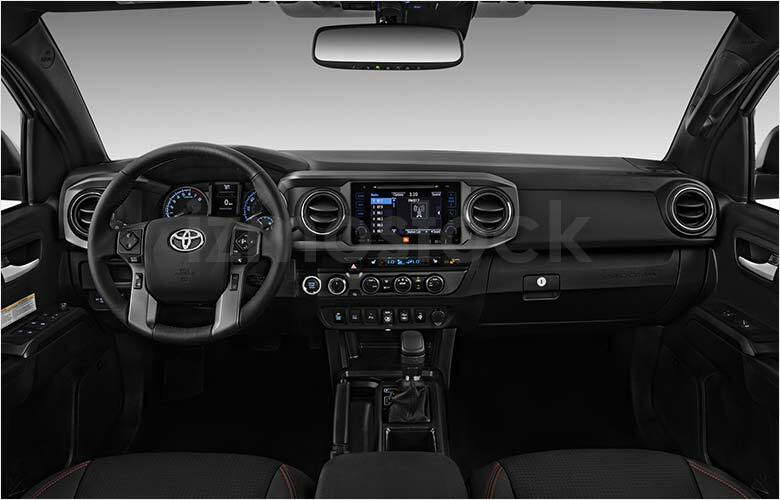 For more hi-res images of the 2019 Toyota Tacoma TRD PRO, Contact Us.